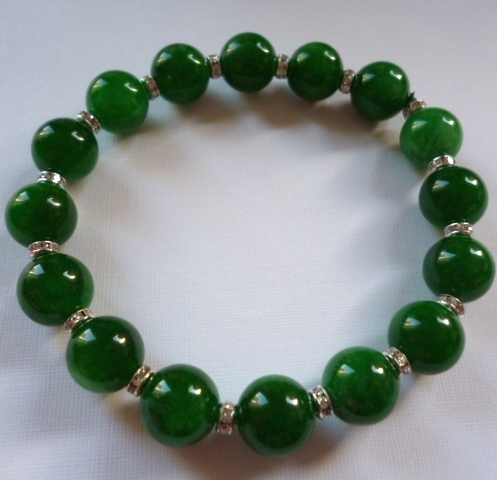 A lovely deep, dark green bracelet of 9.5 mm polished jade beads and sparkling crystal spacers. 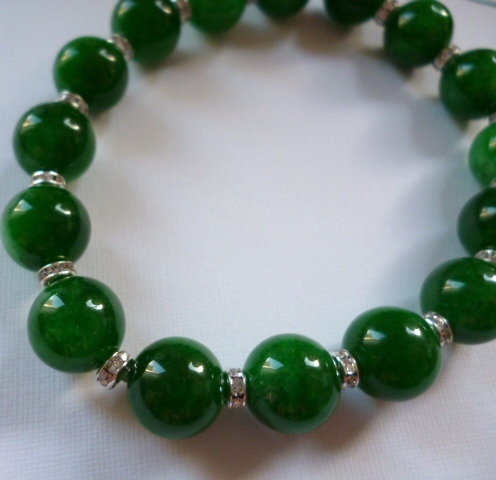 You can have this classy piece of jewellery with a choice of clasp, or made up with strong and stretchy cord, as in the picture. Your bracelet comes in a slim and handsome gift box, or a pretty and practical draw-string pouch, at no extra charge.